Overly broad marketing and lead generation techniques may get some attention, but they won’t bring in customers who are most likely to buy your products and services. The key to success is focusing your lead generation processes on finding your ideal customer. Work to understand as much as you can about your current customers and what they need and want from you. Use that information to create an ideal customer persona. This persona represents the customer who will be most likely to buy from you. Establish a persona with common characteristics of your existing customers, such as age, gender, marital status, education, common interests, etc. Direct your lead generation efforts to attracting customers who have the same characteristics as your ideal customer persona. Calls to action are the statements used to urge leads and customers to move to the next step in the buying process. Effective calls to action provide the boost customers need to proceed with their engagement with you. With online content, calls to action should be specific and informative. For example, “Click here to get your free report” tells a lead what to do and what to expect. Landing pages should be designed specifically to address the needs, wants and interests of leads who have responded to your call to action. Sending a lead to your regular web site or a generic page won’t be effective. Instead, make sure they arrive at a page that continues to build their interest, informs them of their options and further encourages them to become a paying customer. Are your lead generation processes not turning out to be as successful as you’d like? 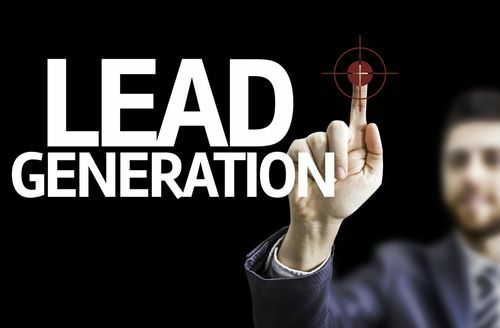 What can you do to improve lead generation and avoid these common problems?